Ain’t nobody lookin’ back again . . . I remember back in grade school when we first discussed the Civil War. It was simple. North good. South bad. The South wanted slavery. The North wanted to free the slaves. They fought, the North won, the slaves were free, Lincoln was a hero – a dead hero, but a hero. And the South was made to pay – and some counties in the deep South are still paying today. War is rarely gracious to the loser. Even those who were freed had no where to go. It would be years later before they had a right to vote, and even longer before they had a right to an equal education and the same water fountain. But that wasn’t really discussed so much back then. Keep it simple for the kids. Alexandria National Cemetery courtesy of http://www.nps.gov. 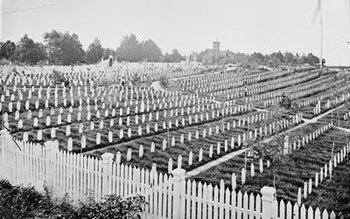 Confederate soldiers could not be buried in national cemeteries for many decades after the Civil War. But the thing is, it isn’t that simple. No, I’m not going to wave a Confederate flag – those people make me want to throw up. But we aren’t all morons, anymore than the North are saints. Even way back then they weren’t saints. 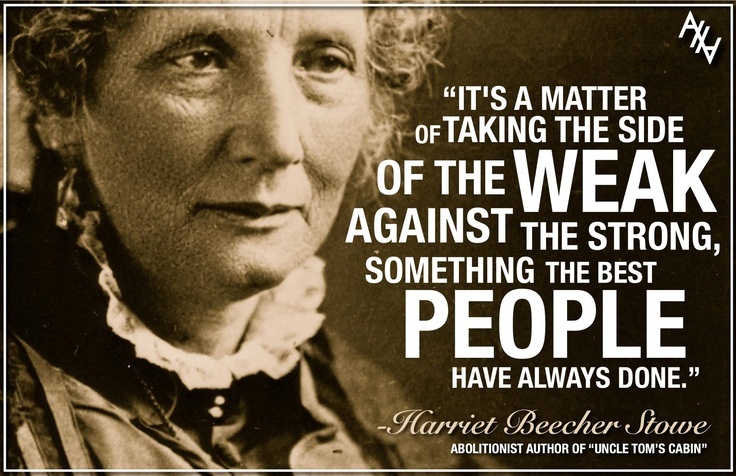 Harriet Beecher Stowe, author of the revolutionary book “Uncle Tom’s Cabin” (please read the book and disregard any plays or movies made from it), pointed out that the North was as much at fault as the South. Because even the most staunch abolitionists were more content to condemn the slave owners than actually try to do anything to change matters. In her mind this was as much a sin as actually keeping the slaves, because they were allowing the souls of the slave owners to be doomed to Hell for their crimes against humanity and God. Harriet wasn’t super popular with either North or South. Even Abraham Lincoln wanted to play it safe until his hand was forced. Imagine taking office and half the country deciding to leave. And actually doing it, unlike the idiots who signed petitions when Obama was elected. Yes, we have some of those here. One small town flew the flag upside down to signal distress when Obama took office. I pretend not to know these people, kind of like we all like to pretend no one did “black face” comedy routines. It used to be a regular thing at the college where I work. It’s in the yearbooks. Oops. But things DO change, even if they do slowly, and even if it takes blood and tears to make it happen. The Civil War took a horrific toll on the country. The civil rights movement was dangerous and deadly. Some police officers are even now being called on the carpet for being trigger happy with black civilians. Are the police automatically bad, and the ones shot good? No. But no one can ignore there’s a problem. But that’s a whole other political issue, and what I really want to talk about are the people in the South that I know, specifically my own Southern heritage. 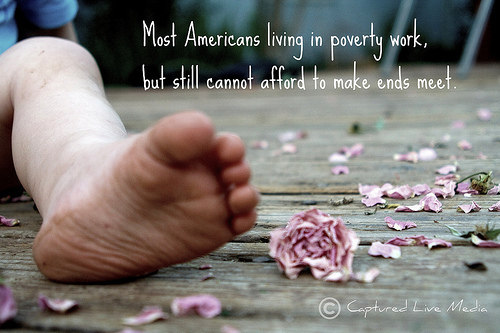 My grandparents grew up in poverty. My maternal grandmother married young, and had a toddler and a baby on the way when her husband was killed. She was 22, had little education, and two children. But then my grandfather – at least the one I knew – came along and raised my mother, her sister, and the son they had together. Grandpa had a sixth grade education before he was pulled out of school to help on the farm. He joined the service at 16 and lied about his age. World War II was more appealing than the hard, back-breaking work he did day in and day out in the fields, only to face abuse and outright neglect at home. The touch, the feel of cotton . . .
My maternal grandmother died when I was fourteen, so I never got to know her on an adult level as I did my grandfather. He was quite a man – 6’4″, huge broad shoulders, but a gentle heart. When my grandmother was alive, he was always in the background, the guy who counted my ribs and called me “stinkerpot”. Not sure if that’s just a Southern thing or an all around annoyance for children. When my grandmother died, we worried about how he would make it. But he did very well. He became more than the man who worked 7 days a week on oil wells to keep the family going (yet cleaned up shinier than anyone you’d ever seen), though there were times without work where they barely made it. 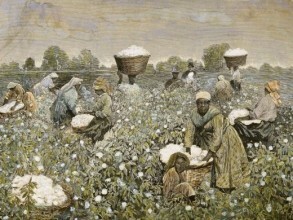 My mother remembers picking cotton once as a child, and the pain of her fingers, and the tiny amounts of money they made from an entire day’s worth. My grandfather was a DEMOCRAT. He lived and breathed the values of the party. I mean the party, and not the politicians, who obviously aren’t perfect. Once he went to vote and they asked him which party he belonged to, causing my grandfather to bellow “Do I look like a goddamn Republican to you?” I doubt they asked him again. 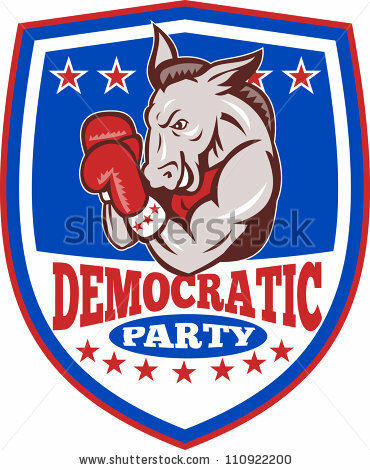 Don’t mess with big, tough Democrats. When George Bush was elected, I remember him saying “We’re gonna go back to catchin’ rabbits for food.” He lived through the Depression. And it was Roosevelt that pulled them through it. He was elected to four terms. President Hoover’s answer to the poor people storming the White House was a water hose. President Roosevelt put them to work, building what they needed anyway, and paying them to do it. I don’t care what you say, most people DO want to work for pay, if given the chance. Though he grew up rich, his polio handicapped him, forcing him to see those less fortunate. Eleanor was often forced to be his voice to the people. And when this once very shy woman spoke, thousands of people listened and cheered. My daughters and I watched the Roosevelts’ documentary on PBS. No, I didn’t make them watch it, they wanted to, and they loved it. 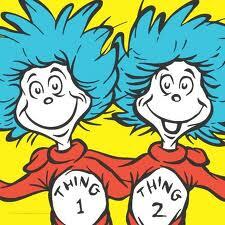 Thing Two insisted on being Eleanor in her school play, even though she only had one line. It was a good line. My father shares the same sentiment as my grandfather once did. He is also a DEMOCRAT to the end. I asked if he would change his vote if someone put a gun to his head. Long pause. “No.” He grew up poor in a house with 5 other kids. His eldest sibling died as a baby. His older siblings were twins, and born at home. The doctor delivered them, handed them to his father, charged him ten bucks a piece, and left. So my father was born at his aunt’s house. You ate what you were given growing up, because you only got what was there. He didn’t had a good relationship with his father, but he adored his mother. She died young, in her forties, so I only know her through my father’s words, but when he speaks of her, she comes alive. 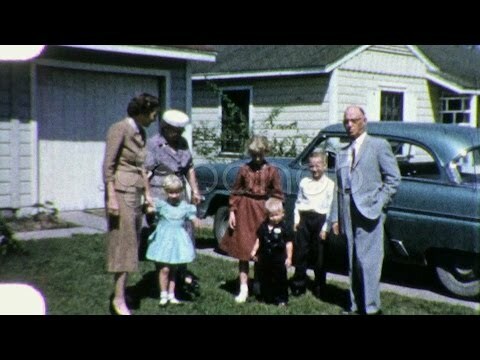 There is a picture of my father and his family posing in front of the family car. This isn’t it. It’s a stunt family. They had chickens, and rabbits. I remember the rabbits especially because when I asked for one, my father reacted in horror saying “They stink”. He did not view them as fun pets after caring for them. There is a picture of several of the family in from of an old car. Having a car was a big deal, even then. His grandfather didn’t have indoor plumbing still. His mother was a fabulous cook, making do with what they had. She never had a job, but people remembered she was the best basketball player on the team. She played with her three sons, who would pick her up and annoy the hound out of her. But she loved her kids, and did what she could. My father needed just a little more money to make it working and going to college. She scraped it together somehow. My father was the first person in his family to get not just a college degree, but a Master’s as well, all through sheer determination – and a little help from his mom and random acts of kindness. My father will always be a “poor boy” in his head. He worked hard, and saved hard, and paid for my college education. I did not have to work, and I do not have student loan debt. I will always owe him for that. He has a savings account for my children as well. My mother finished a Master’s degree (also the first in her family) and went back to work when I was six (the “terrible thing that happened at our house”). She is also Democrat, though she does not enjoy politics as my father does. She does believe in the same values as my father, and can’t understand how people, especially poor people, can vote differently. When she stayed home with my brother and me, they didn’t have two pennies to rub together. But they struggled through it, my father working two jobs, my mother sometimes going to three different grocery stores to get the best bargains. They didn’t have WIC back then, something that helped pull my family through our leanest years. That and a lot of help from my parents, and a little from those random acts of kindness. I didn’t want to go to the WIC office and get free food. But I had babies. So I did it. I saved as much as I could, to make my husband’s check last longer. Everything we owned was a hand-me-down. Our TV had a pull knob on it for years. I shopped garage sales – you can get great baby stuff for cheap. My parents bought us a new air conditioner (thank God for worry over grandbabies!) and conveniently gave us a gun cabinet our first Christmas to hold the guns my husband inherited. My husband votes Republican. When we married he said he didn’t care about politics so I figured I would convert him. It hasn’t worked yet. I inherited many of these same values, values from Southerners born and bred. My mother says I was born a feminist, and she had little to do with it. My brother is a Republican. I am another died in the wool Democrat, and could never be anything else. Think about being a staunch Catholic or Protestant. Now imagine becoming a Buddhist. 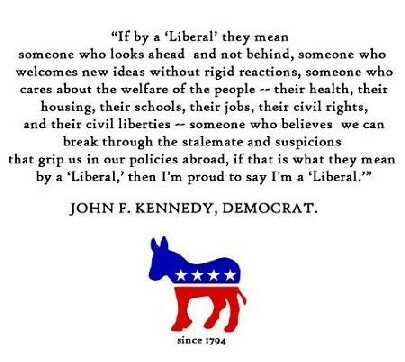 It’s about the same with me – liberal Democrat, the ideals of the liberal Democrat, they compose my values, the measure of what I am. And if you look down at the quote by JFK, you might see a few things Jesus agreed with as well. We used to be the Solid South, but with civil rights came a dramatic shift. Now I’m one of the weirdos who doesn’t agree with a lot of other Southerners. But I agree with some. Like my parents, my grandparents, and now my children. Sure, they might change their minds when they are older, but I doubt it. They have my heritage. And even if they do change parties, they won’t change values. Those are inbred. We are Southerners. This is our song, our song of the South. Be sure and watch the video for some amazing historical footage of the South’s past. Not to mention some 80’s mullets. So we’re back again. I apologize for the length of time between posts (in case you’ve noticed or something) but programming is a real pain what with the writer’s strike and all. But we’re back to finish off the interviews so that we can then finish off the contestants. 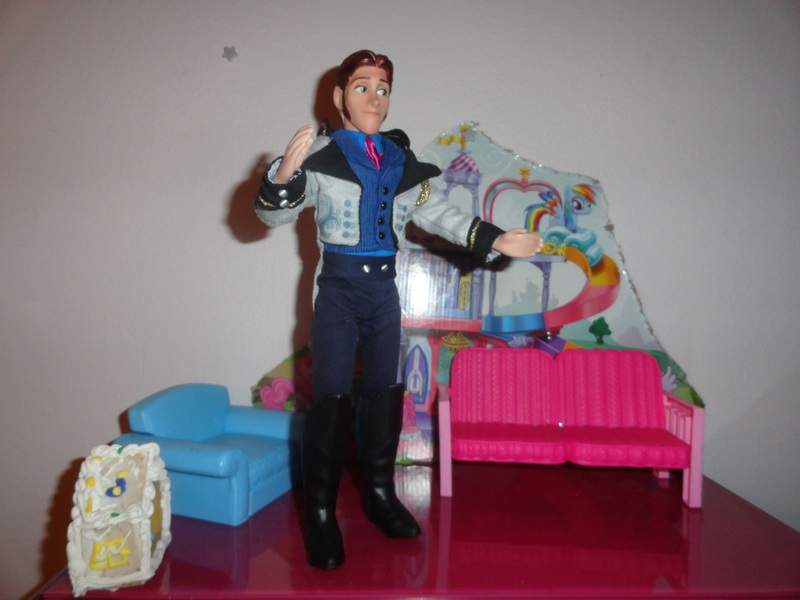 And now, once again, is everyone’s favorite sociopath, Prince Hans. Haha who are you calling sociopath? That’s ridiculous! I’m a nice guy, really. Just look at my teeth. Now let’s finish off these interviews – finally. First up are our tributes from Agrabah, that great city where they cut off your ear if they don’t like your face (actual original lyrics). Let’s give a warm welcome to Aladdin. 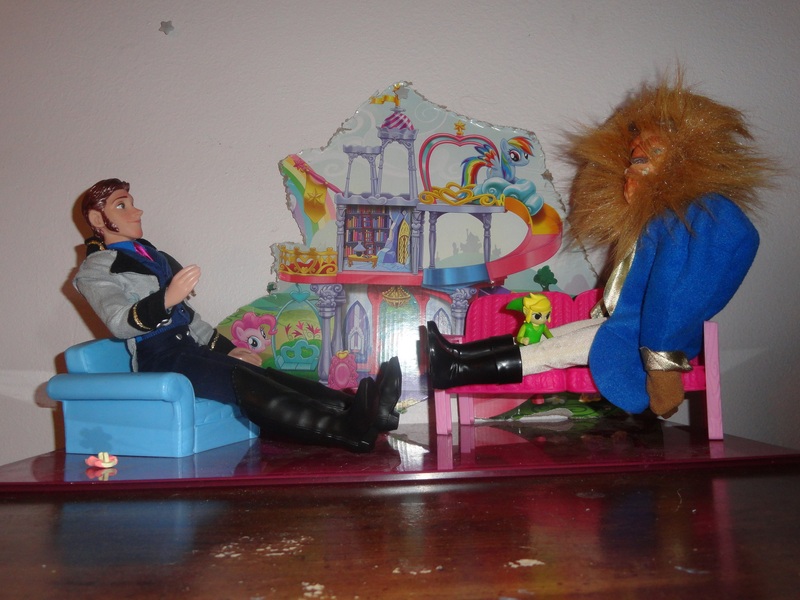 Hans: Aladdin, I hear you were born a street rat. Yet now you are the future sultan, and all because you married a girl. Nice plan there. Aladdin: I just wanted the girl. Hans: What is your strategy for winning the games? Aladdin: Well it’s totally not going to have anything to do with monkeys or tigers or flying carpets or all powerful genies. Trust me. Hans: I’ve heard you are a lying thief, yet still got to be the hero. What gives? 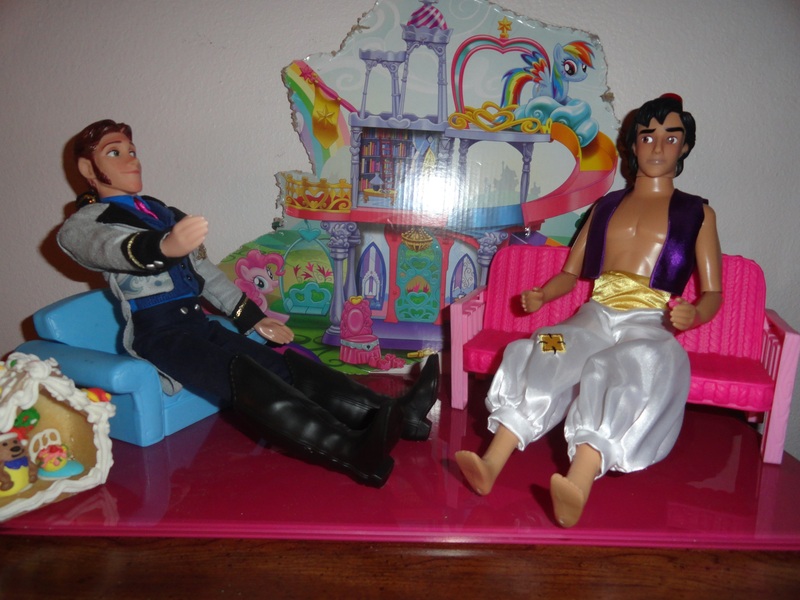 Aladdin: Well I don’t spend a lot of time playing with ponies. 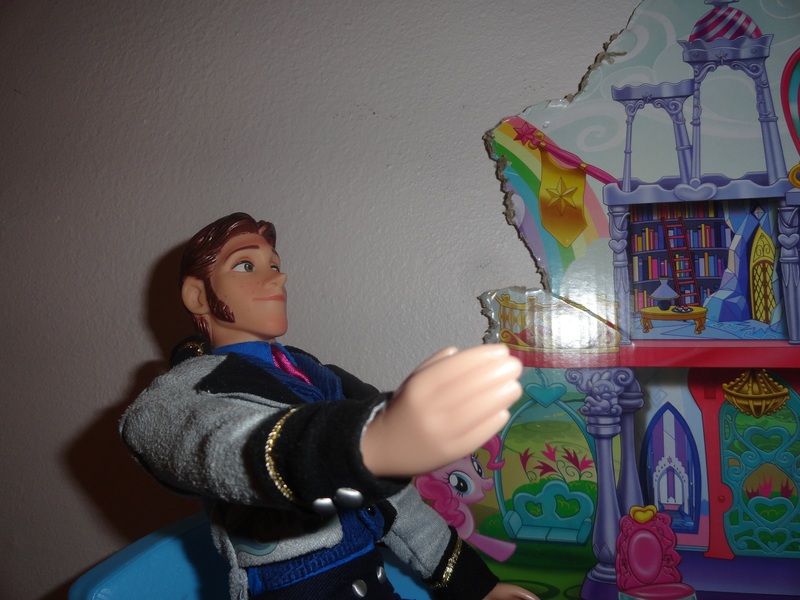 Hans: Hey, ponies are great . . . who told you? Aladdin: Gotta go – one step ahead you know! Next is Aladdin’s beautiful prize er bride, Princess Jasmine. 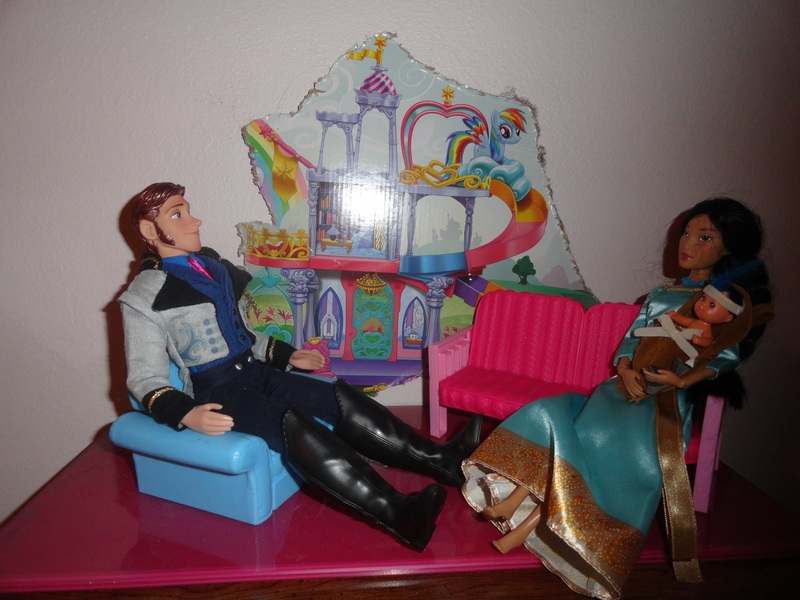 Hans: Princess Jasmine, what a nice dress . . . wait, is that a wedding veil? 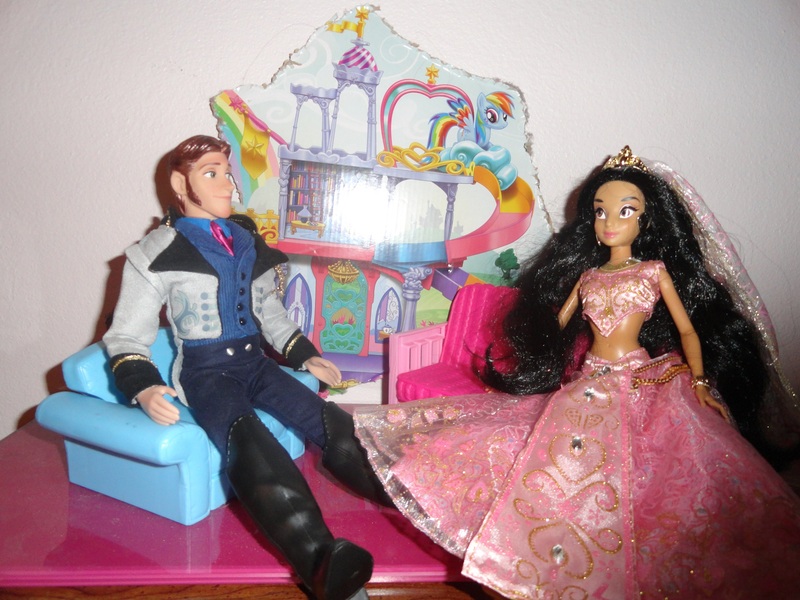 Jasmine: Yes I was planning a beautiful wedding. 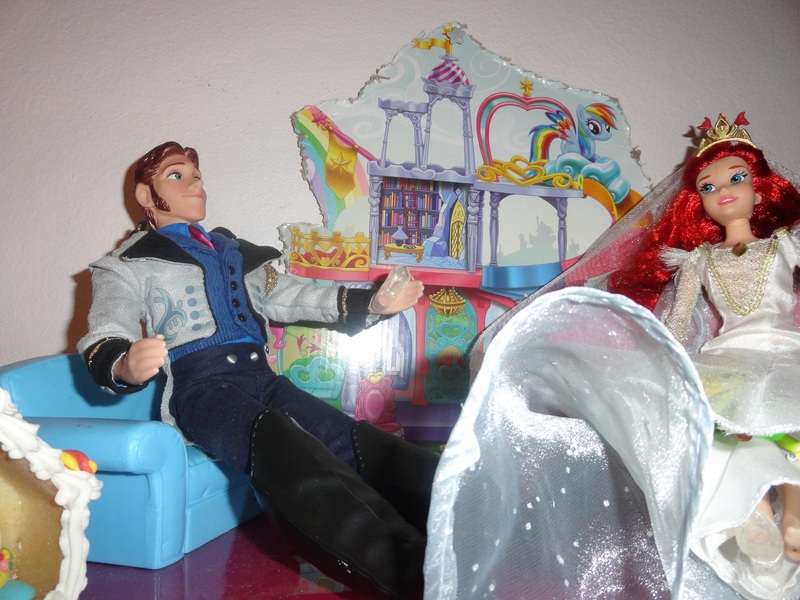 Hans: Oh give me a break, someone already tried the wedding idea. 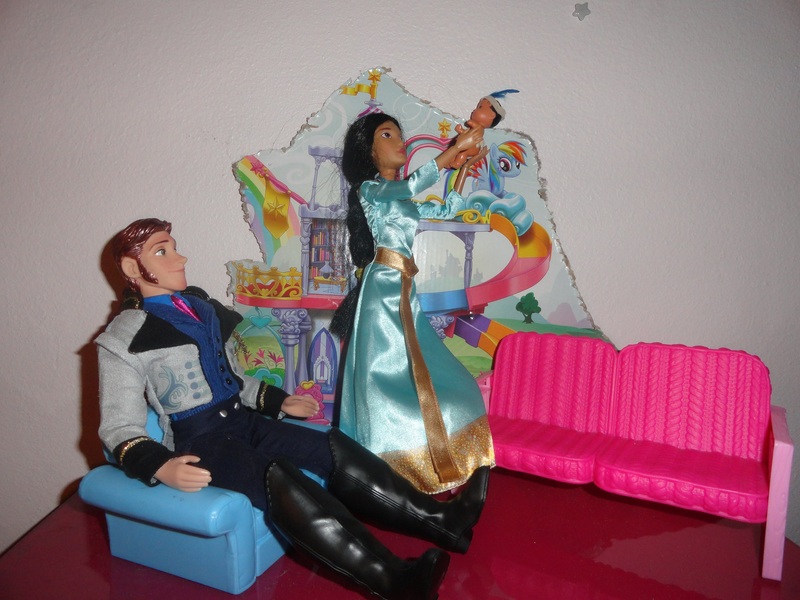 Jasmine: Darn that Ariel. Did I mention I’m expecting? Hans: Next. Next we have . . . oh wait there seems to be a problem. Did Hans lose something important? Hans: Hey, street rat, give me back my wallet! Moving on, we have the tributes from the China-ish district. Everyone give it up for Mulan! 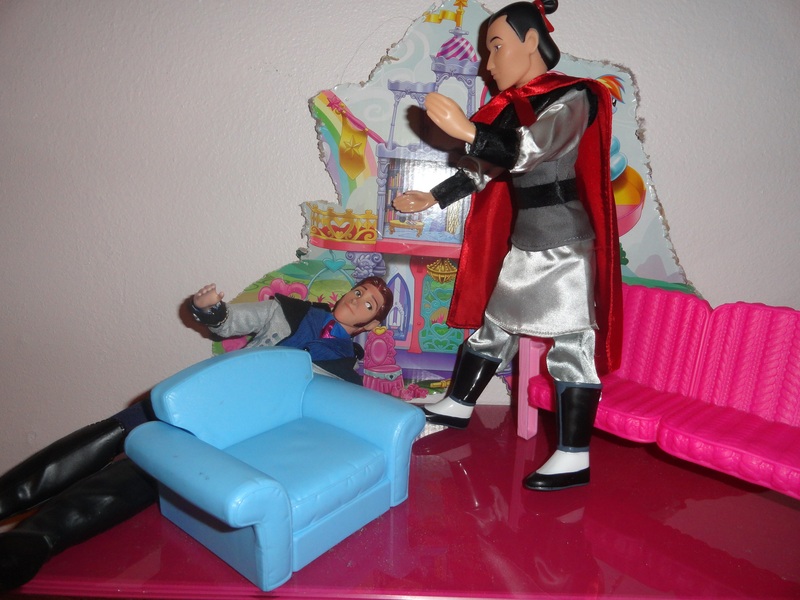 Hans: Why Mulan, given up the cross-dressing I see? Mulan: I only dressed as a man to save my father and rescue my country. 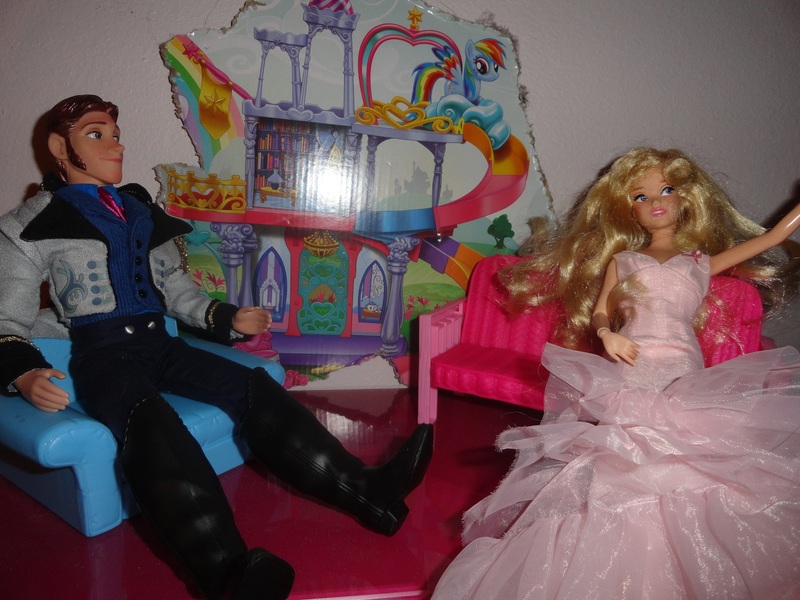 Hans: Well I think it’s great that now everyone sees you in those pretty dresses, just the way women belong! Mulan: I can shoot missiles all the way to the freaking Southern Isles, you jerk! Hans: Not necessary, really, haha . . . um, next? Next up the commander in chief who looks really nice with his shirt off (so some say) and sings the best song ever about being a man. Uh, anyway, let’s get down to business and say hello to Li Shang. Li Shang: I happen to like Mulan in her fighting gear! We practice hitting each other all the time. Shall I practice on you? Hans: Save if for the games . . . please. NEXT! Our final interviews, at last! 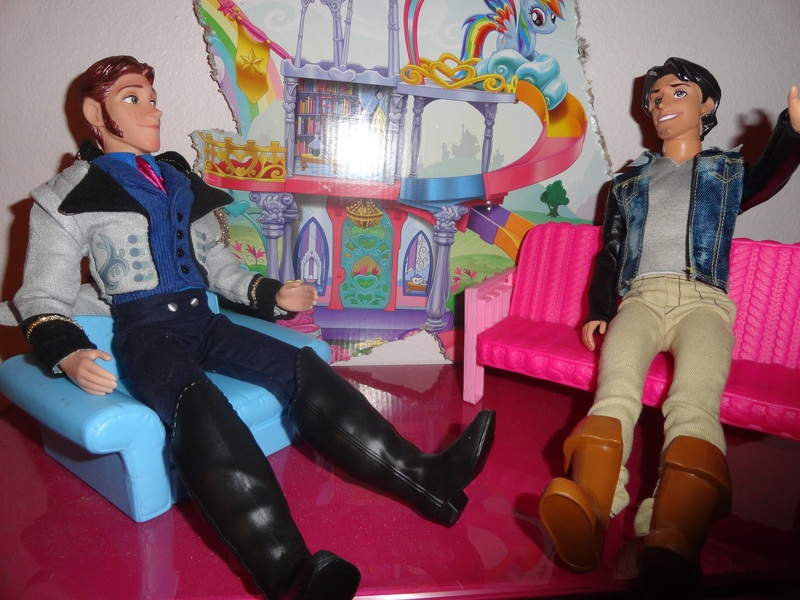 Let’s hear some from the Hairland district, starting with Flynn Rider. 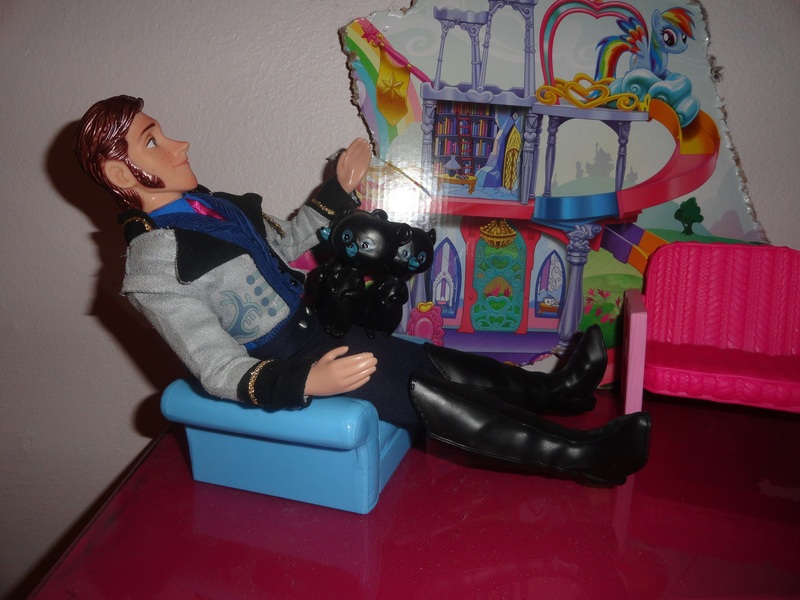 Hans: Greetiings, Mr. Rider. You have quite a bit in common with Aladdin. 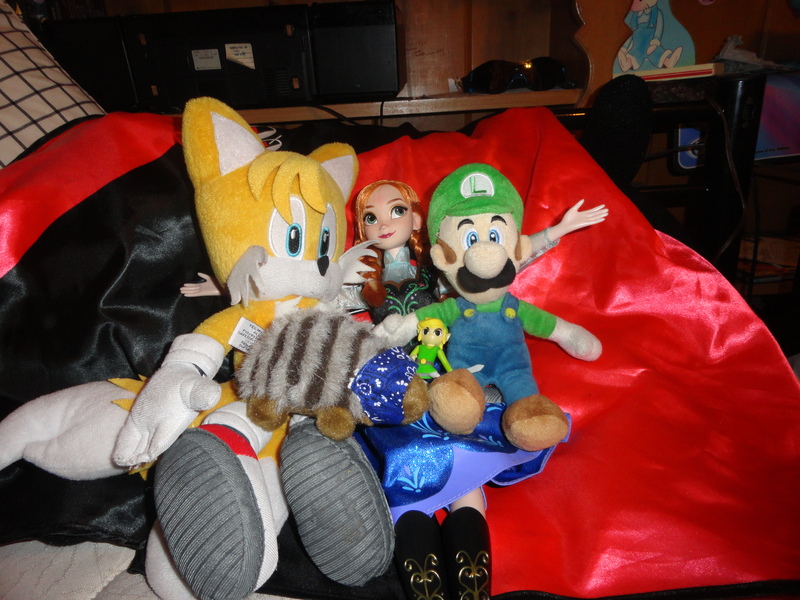 Both of you are are lying thieves, both of you married beautiful princesses to inherit their kingdoms . . . really, what did I do wrong? Flynn: Maybe the attempted murder part. Just a guess. Hey, nice watch. Hans: Why thank you . . . wait a minute. Next! Welcome Rapunzel, she of the really, really, really long hair . . . that she once had but now is short and brown. Except when she apparently wears blond wigs to please the children cause let’s face it, that’s her whole calling card there, the hair. 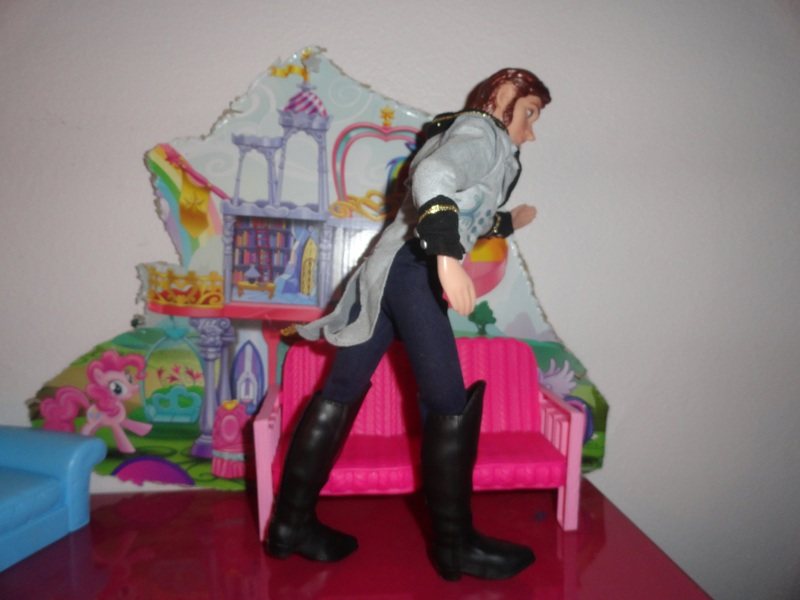 Hans: Hello, Rapunzel. Um, nice mom cut there. 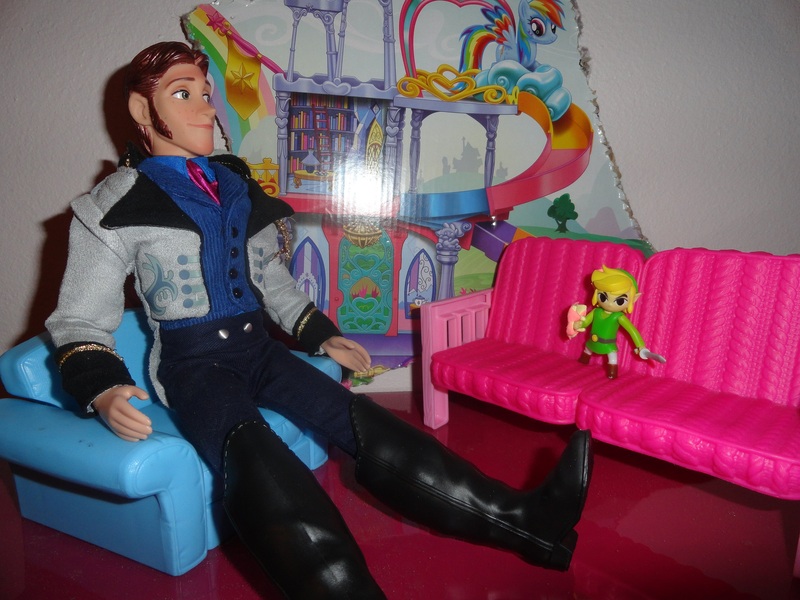 Rapunzel: I know, everyone loves the long blond stuff, but do you realize how much that stuff weighs? Or how much debris I pick up in a single day. Once I caught a woodchuck. Hans: Nice. Tell me, do you also have mom jeans? Rapunzel: No but I have a frying pan. Hans: Brown hair is a great look for you. Hans: Well that, thank God, concludes our interviews folks. Now for the fun stuff. The killing . . . wait, where is my watch? Hans: Hey, I want my watch back! You poop-heads! I’m going to go with Team Mulan. Unlike many others in the Games, they both have had military training and know how to survive in the wilderness. Also, if I remember correctly, Mulan has a pet fire-breathing dragon (which she should make sure to keep away from Philip) which is great for reconnaissance and starting fires. I’ll tell you how Cinderella is going to win – just before the games, a fairy godmother is going to show up and give Cindy some combat boots, an M-16 rifle with unlimited ammo, and a tank to ride to the arena. The only condition is that she’ll have to kill everyone before midnight. The one with the triplets, or the last one…sorry but I’m too lazy to keep them straight. Of course, they will probably go first. Merida or Mulan I predict will be finalists. 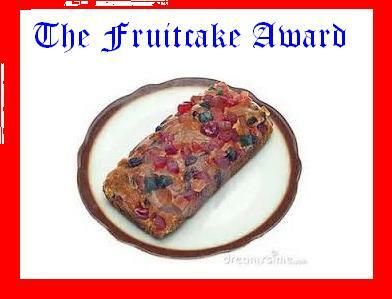 I bet the winner will be someone quite unexpected. I’m betting Ariel will either die first or win. Personally, I’m rooting for the raccoon thing from Pocahontas. What the hell was his name…? So we’ve got a couple votes in for Mulan and Merida, a possible win or death for Ariel, and the raccoon thing from Pocahontas. There’s still time to get your guesses in before the games begin! 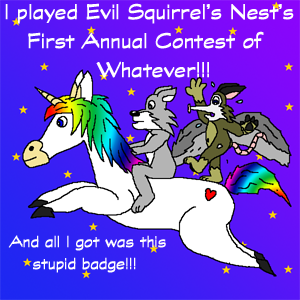 Winners will get Evil Squirrel’s Sparkly Pony from my last contest. He doesn’t know he’s donated yet, but it just seems proper. Or maybe just the knowledge that you, yes you, predicted who would massacre the most princes and princesses in a pretend contest on a silly blog. You could put it on your resume! See you soon. And may the odds be forever in your favor. Note: This post was originally a guest post on another blog in August of 2013. In light of recent events, I wanted to publish it again, here. There are many genres of literature. Mainstream Fiction, Non-Fiction, Mystery, Romance, Horror, but only one genre that seems to be unilaterally mocked as silly, strange, and only for “geeks.” That, of course, would be Science Fiction. I know that when I was a child, to admit you liked science fiction was to seal your fate on the lowest rungs of the status ladder for all eternity, or till the end of high school, whichever came first. God forbid anyone know you liked Star Wars, or Star Trek, or that you read the works of authors such as Isaac Asimov. And yet – how is science fiction really different? Science fiction explores both our world, and others. Sometimes it is the world to come, sometimes it is another possible world, but generally it is about something that takes place in the future, whether centuries from now or just around the corner. Science fiction, unlike any other genre, seeks to give a picture of a possible future, and in many cases, the chance to either become that future, or to prevent it. One of the most famous, and most simultaneously beloved and maligned of science fiction programs is the Star Trek series. It was created by Gene Roddenberry and the first episode “Where no Man has Gone before” aired in 1966. Though ratings initially were poor, through letter writing the series was extended for three seasons. But it did not die there. Fans formed a convention in 1972, and these are still had today. Later, after the success of science fiction films like Star Wars, Star Trek went to the silver screen. Now a show that originally was doomed to failure has spanned 12 films, a cartoon, and five different series all based around the same concept. Unlike many before him, Roddenberry saw a future in which there was hope. 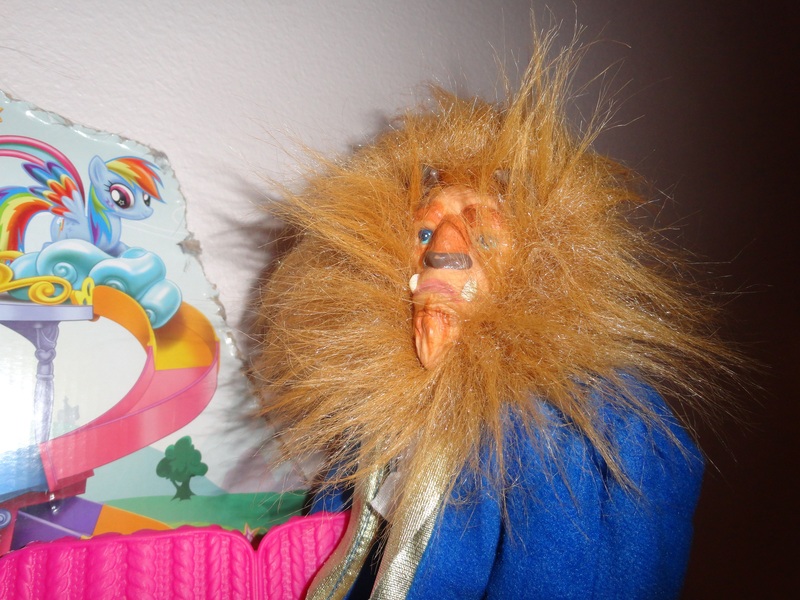 But right now this is, as Phil Collins said, a land of confusion. We have many problems we are still working out. Science fiction is a place to bring attention to the problems, explore them, and possibly come to solutions. In the original series, Roddenberry explored many issues taking place in the 1960s, a primary one being civil rights. This is an issue that is far from settled, however. While most consider people of color to be equal, there are still hold outs. And there are still those who would deny rights to others, whether they be by gender, orientation, national origin, religion, or any number of other reasons. We still have a long way to go. I was inspired to write about this by an episode of Star Trek: The Next Generation, the second series produced in this line. In this episode, The Measure of a Man, an android, known as Lt. Commander Data, is under trial to determine if he is property of Starfleet, the military-like futuristic space organization the people serve. For a season and a half, the android Data has explored what it is to be human while serving on a starship as a member of the crew. What makes someone sentient? Further – what makes someone worthy or respect, of freedom of choice? These questions come to a head in this episode when the captain, Picard, must prove Data is sentient in order to save him from dangerous experiments that would involve dismantling and possibly destroying the essence of the android’s experiences, or rather, his soul. So many issues are explored in this episode. It is not, in fact, just about an android, but about us. The man who wants to disassemble Data wants to create hundreds just like him, or a race, basically, of androids. As Picard considers his defense, he realizes that this has all been done before. Once African Americans were deemed less than human, ¾ of a human to be specific, according to the Constitution at one time. Since these people were less than human, it was permissible to enslave them. Would a race of these androids also be enslaved? Can you exploit a machine? It brings to mind issues from the near future as well. Already we have cloned animals. How long until we can clone entire humans? If we are able to do so, will it be permissible to take from these clones organs in order to further our own existence? Will these people be considered human like us? What if we grow them without brains? Scary, isn’t it? And yet, possible given the right tools, the right knowledge, the right legislation. Science and technology are often speeding ahead of morality. Through science fiction, we can attempt to keep up. And then there is today. Today we seek legislation to deny people of the same gender the right to marry. We seek legislation to deny women the right to choose whether to have their child or receive a safe abortion. And we seek legislation to deny the right to vote to the poor and disadvantaged. Are any of these groups of people unworthy of rights? If so, why? Patrick Stewart, who plays Picard in this series, delivers this line so passionately that I dare you to not be moved by his words. So after all of this, I ask you, am I a geek for liking science fiction? Is science fiction worthless? I’m not demanding you enjoy it. I don’t enjoy all of it, and there are certainly some other genres I am not particularly fond of, yet I do not consider them silly, or trivial, or just for “geeks.” Science fiction is for everyone. It explores the past, the present, and the future in ways that make us question our values, our morals, in a time of extraordinary change. It’s important. And it is not just for geeks. see! if girls can like ponies than so can boys! and anna agrees! continues the evil plan. Not many changes have happened, lets recap our last interviews! 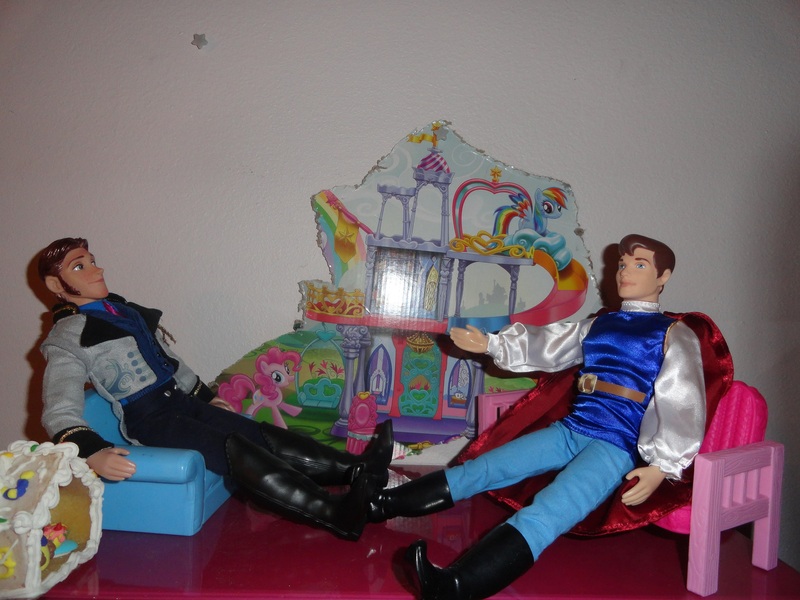 Hans: Ok now here is our first interview of the day, everyone welcome…… Cinderella! Hans: so welcome to the show cinder! Cindy: oh your like my rebel dress? I can’t belive I was brave enough to show my fabulous legs! 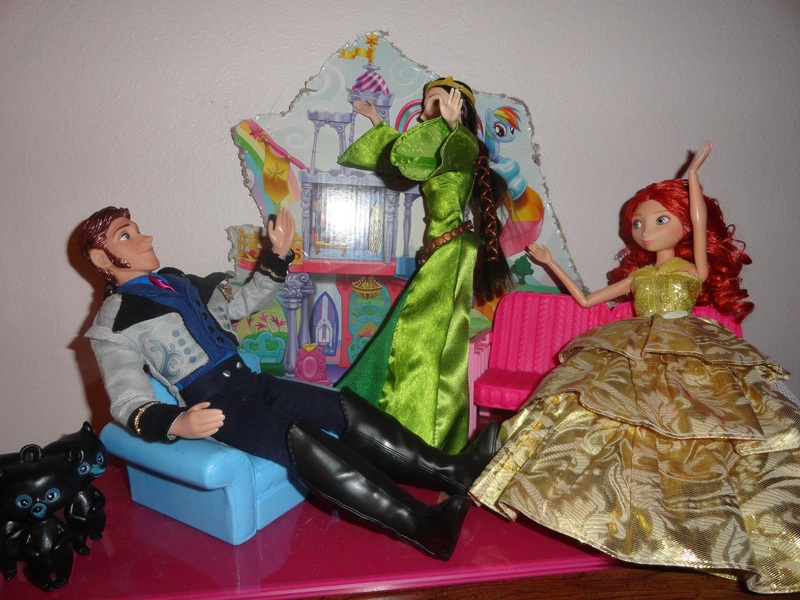 Hans: ohhhhh okay now lest not get to wild,next! 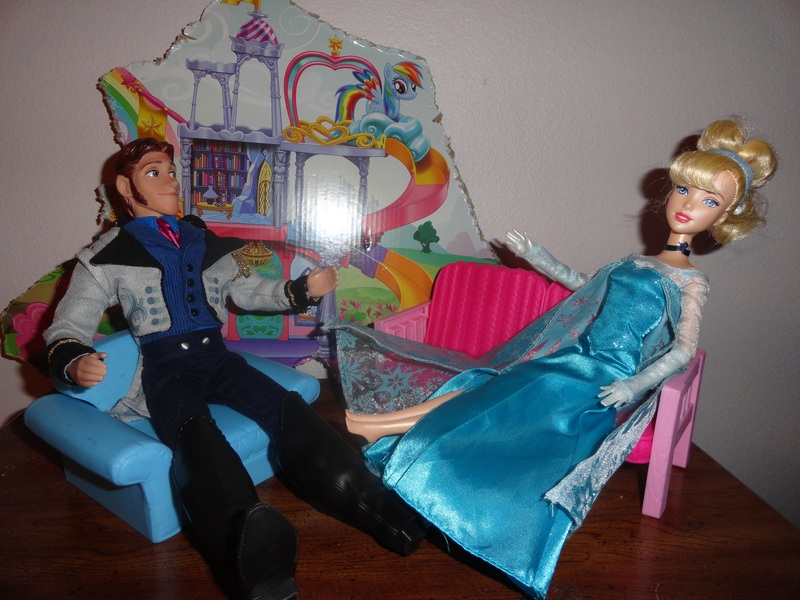 Hans: so tell me anna do you hhave any love interests? 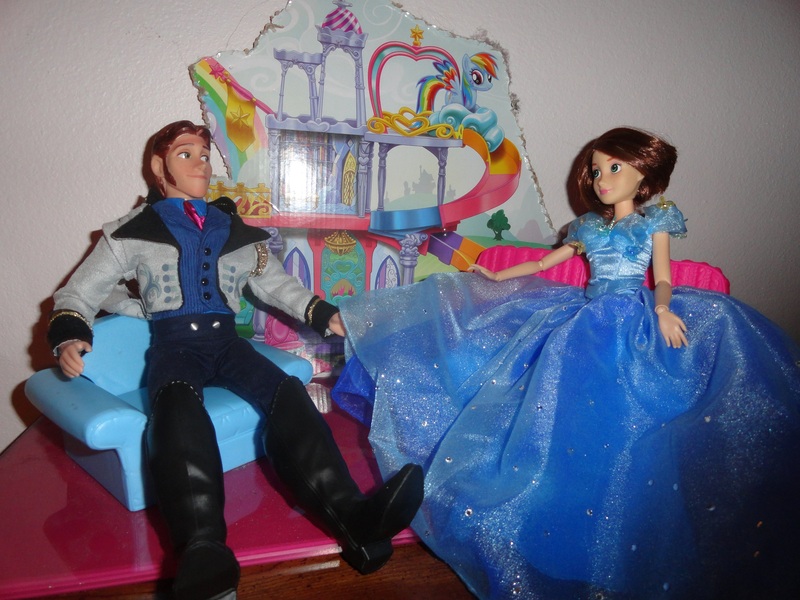 well it looks like Hans is playing hook line and sinker….but anna is not taking the bait. 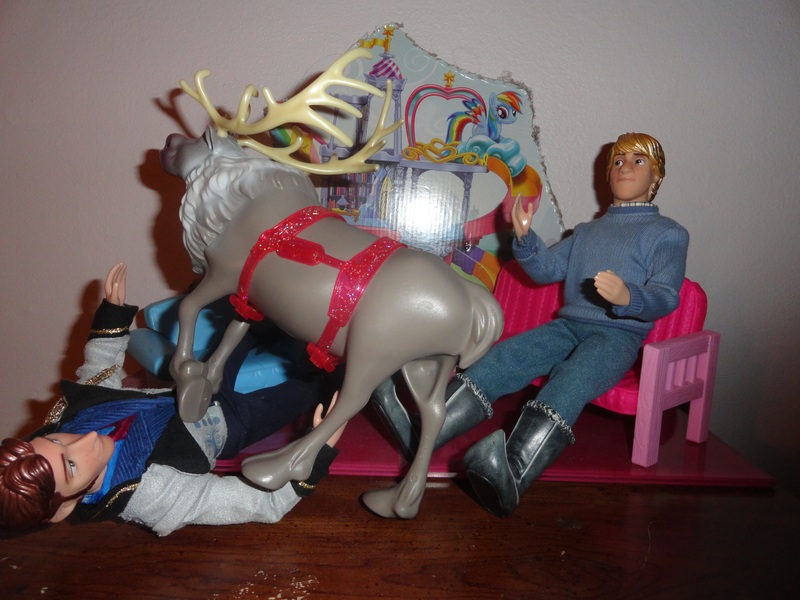 Hans: well merry krismas! HAHAHaa? Kris: NO ONE CALLS ME KRIZOFF!!!! Hans: THIS is a bittt too excessive! Hans: so charming, tell me a bit about yourself…. P.C. :Ohhh uh i like shoes? Hans:okay then that’s interesting next! 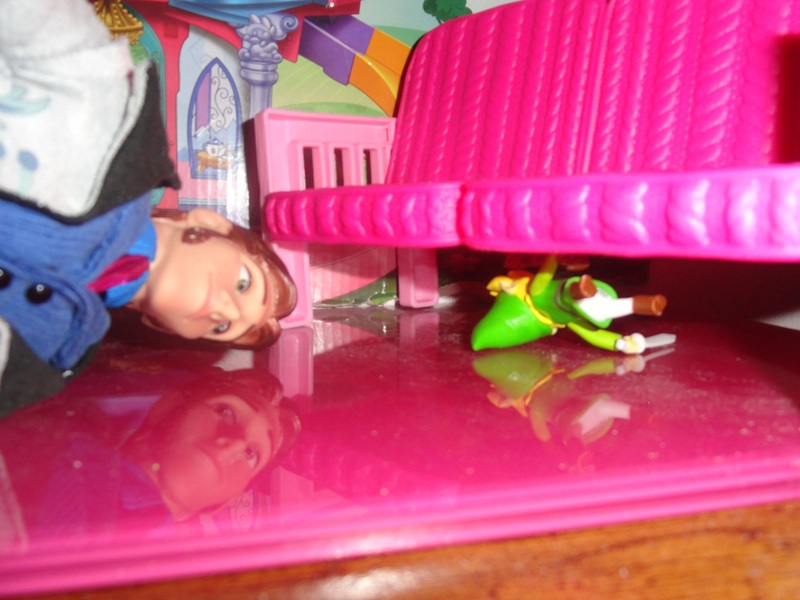 now its the one and only neverlandian….. PETER PAN! 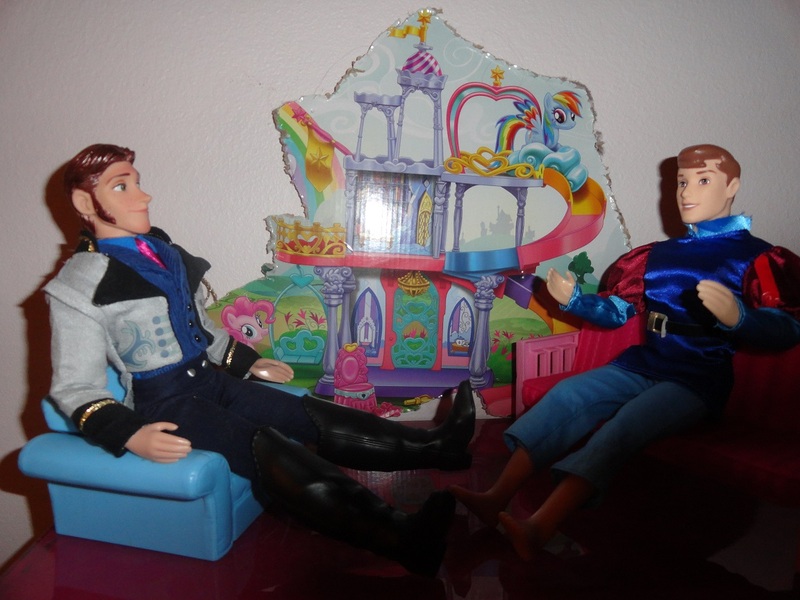 Hans: whoa peter, what in arendell happed to you? 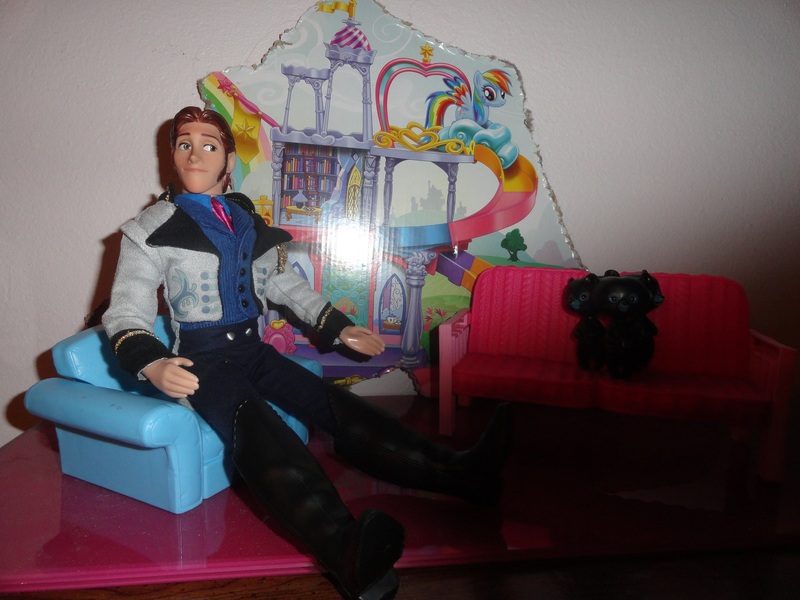 Hans: peter can you please get out from under the couch? peter: not unless you give me a triangle cracker!!! Hans: how about a gingerbread house? Hans: so poco how will you plan to win? 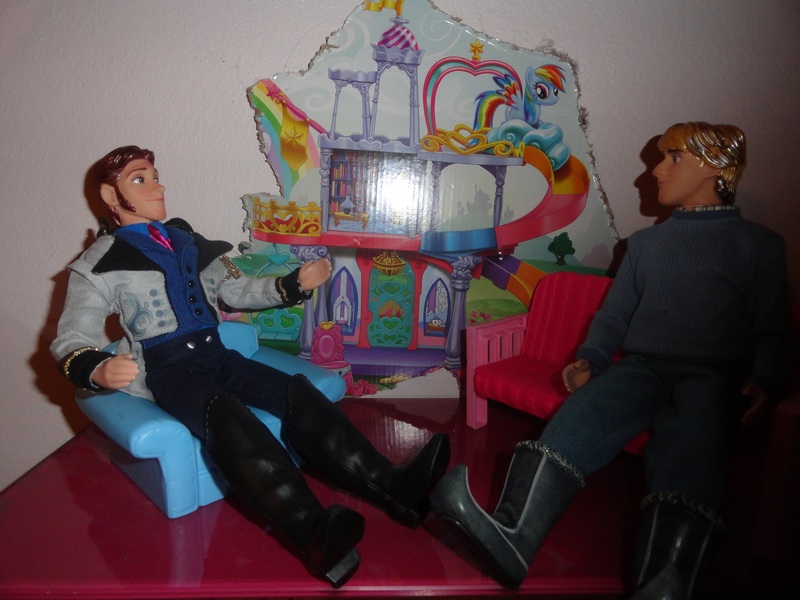 Poco: i plan to go if i have to but…..
Hans: so john how do you plan to win the games? John :oh i plan to use my awesome strength and dramatic posing! Hans: you sound so much like your wife! you guys must be a POWER couple! now we interview prince dude! 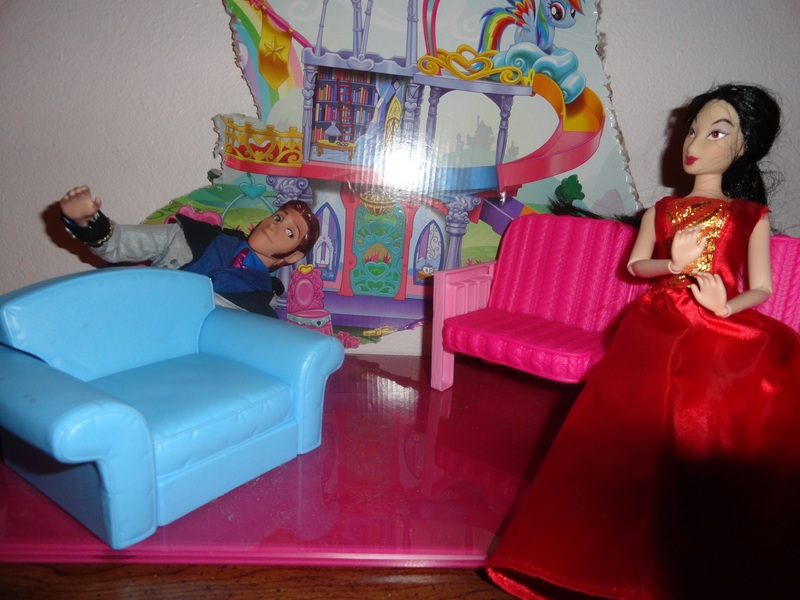 up next following her super weird and bloody dumb husband….SNOW WHITE! well that’s all for today folks! make sure to leave a comment to vote for who you think should win! (i still think sora and riku should TOTALLY be in the games) and no butts were harmed in the making of this post, or Hans. I suppose you’ve probably heard that annoyingly catchy “Dear Future Husband” by Meghan Trainor, she of the “All about the Bums” fame. Okay, so I’ve listened to this song dozens of times already (I TOLD you it was catchy) and I was thinking, hey, I have a few things to say to my CURRENT husband. So I made up some of my own lyrics. They don’t necessarily have rhyme or rhythm, but I guarantee they make at least as much sense as hers do. Here’s the video to get the beat, in case you somehow managed to miss hearing this song. Another 16 years in peace. Oh wait, not that one . . .
You know that I can’t cook. Not to mention oil. 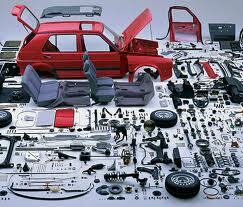 And all those blasted tools. How many do you need? Really, how many do you need? Yeah, pretty much all of this is in our front lawn. They just keep coming back. But it’s harder if you’re farther away. Like on vacation. Current Husband, we can make this work! 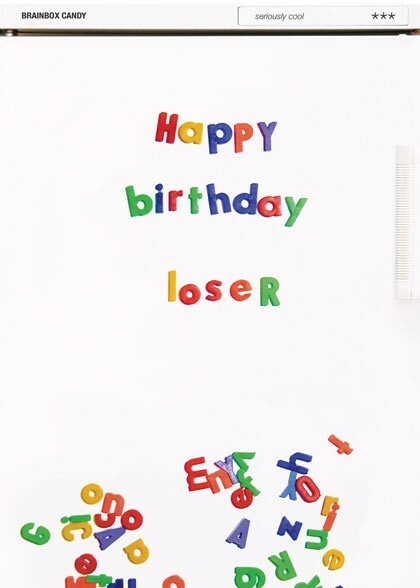 Thank you, current husband, for 16 and a half years (see I’m not that late). I love you. Posted in: Writing	| Tagged: Dear Current Husband, Dear Future Husband, humor, Meghan Trainor, music parody, Really how many tools are there in the entire universe? Are you surprised it’s them? 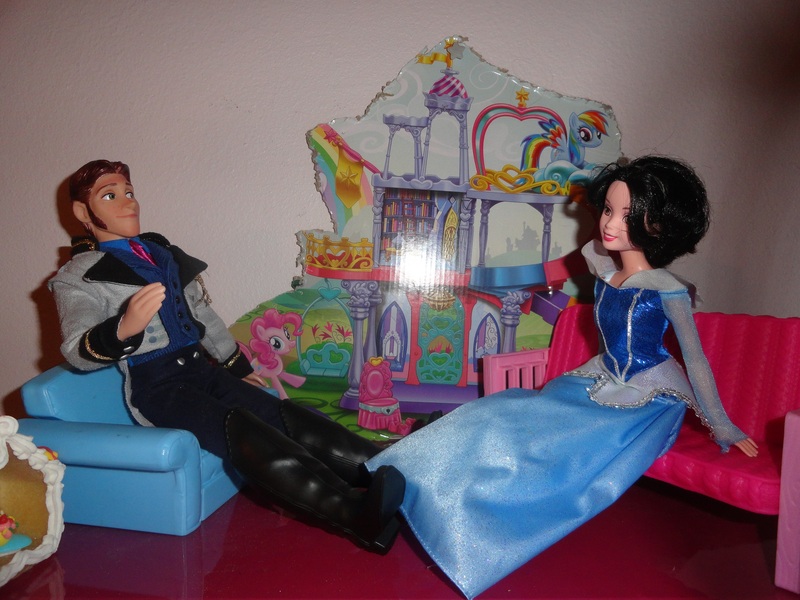 Anyway, after some quick wardrobe changes with their stylists – Elsa and the Fairy Godmother were worked pretty hard – it is time for the customary pre-game interviews. First, let me introduce to your our host! All the way from the Southern Isles, it’s Hans – out on probation! 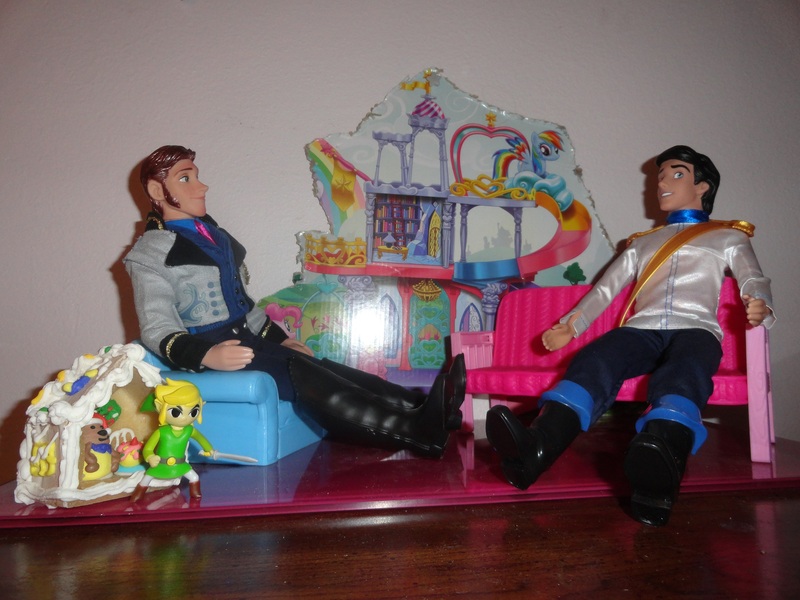 First up for an interview is Prince Eric from the Atlantis District. Let’s see what questions Hans has for him. 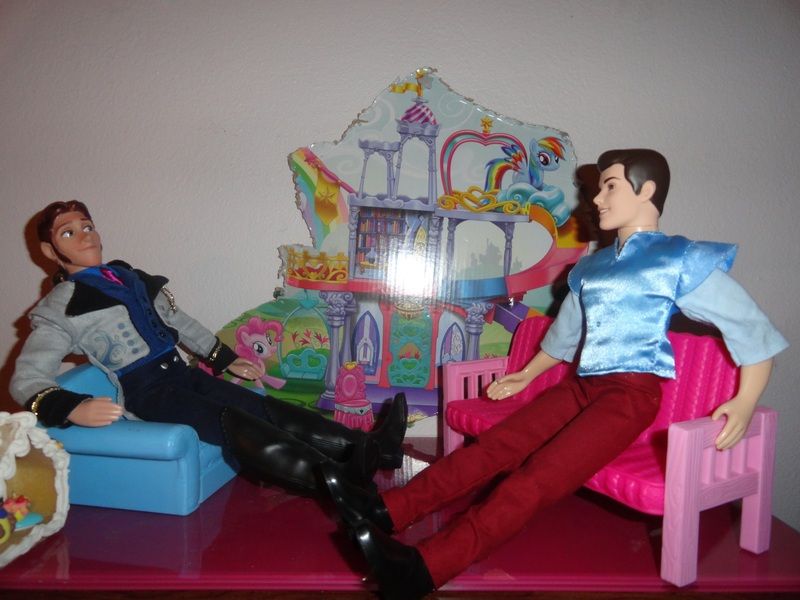 Hans: Nice to meet you Eric. How are you enjoying things so far? Eric: Oh, it’s really nice up here. Great seafood. Don’t tell Ariel. 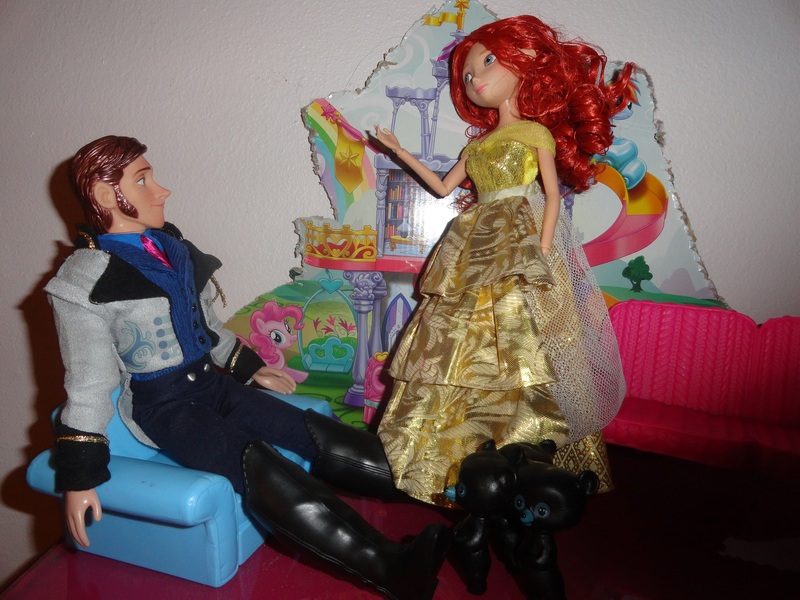 Hans: Uhh, Ariel, also from the Atlantis district – nice to meet you too . . . why are you wearing your wedding dress? 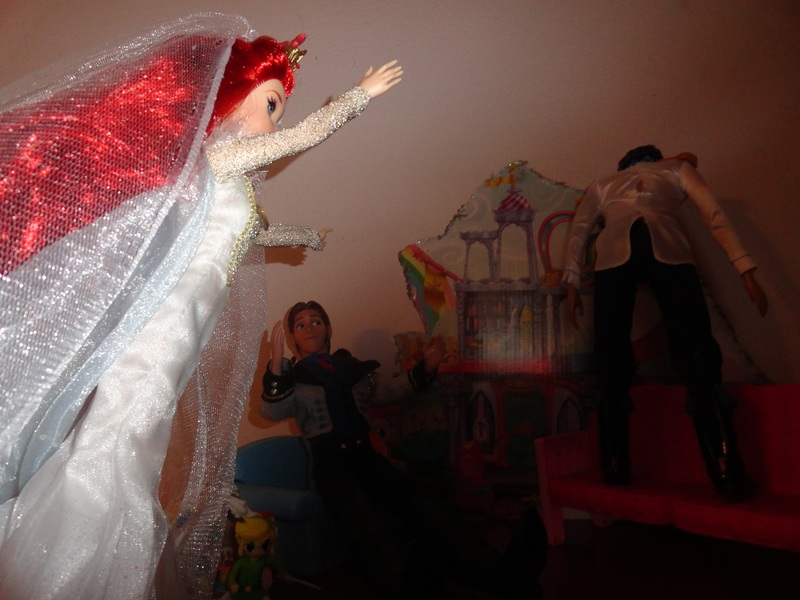 Ariel: Because Eric and I were going to get married . . . before . . . the games. Sob. 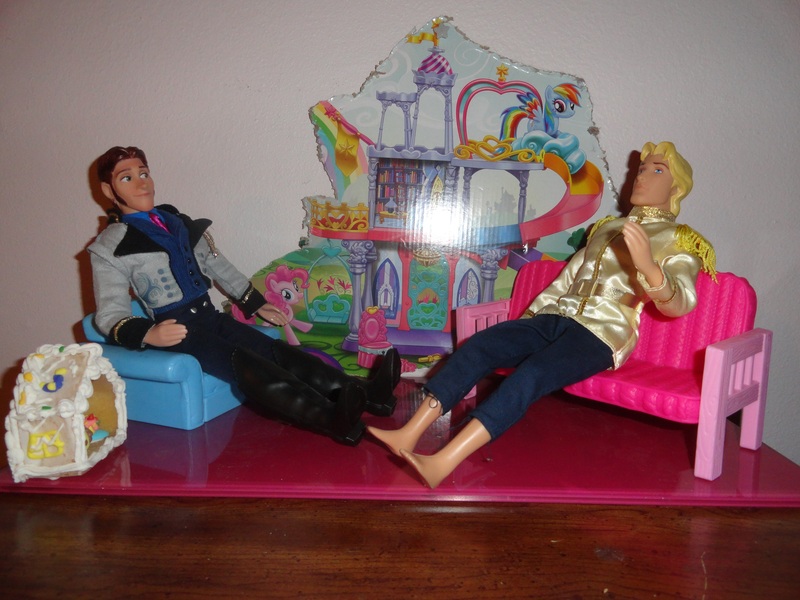 Hans: Haven’t you two been married a while now? I mean – I saw the rip in Eric’s clothes. They don’t even fit him. And a wedding is not getting you out of the games. Next up is Princess Aurora from the Narcolepsy District. 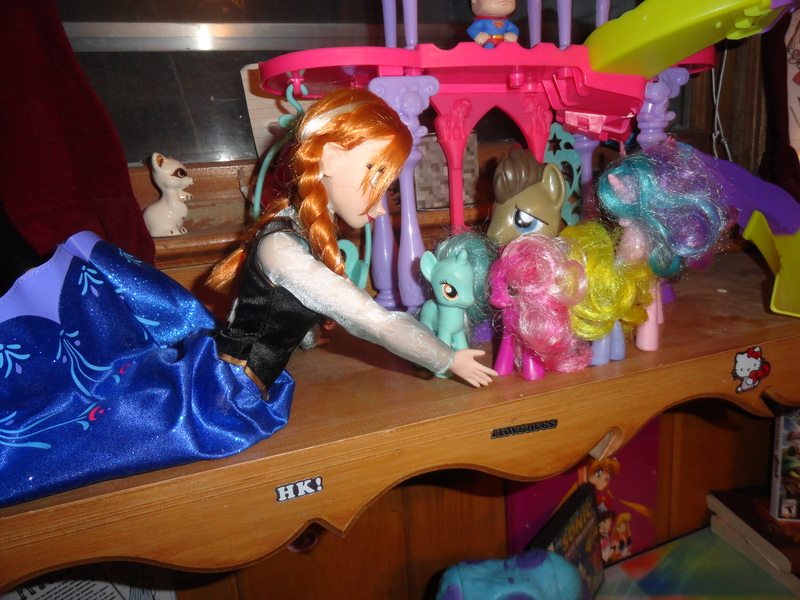 Hans: Aurora, lovely to meet you. That’s a beautiful dress. Aurora: Yes, but the fairies couldn’t decide on the color. Pink, blue, pink, blue. I see that in my nightmares you know? Pink or blue? Pink or blue? It’s exhausting! Hans: So what skills do you think you’ll bring to . . . um, highness? After unloading Aurora from the couch, it was the second tribute from Narcolepsy, Prince Phillip’s, turn. 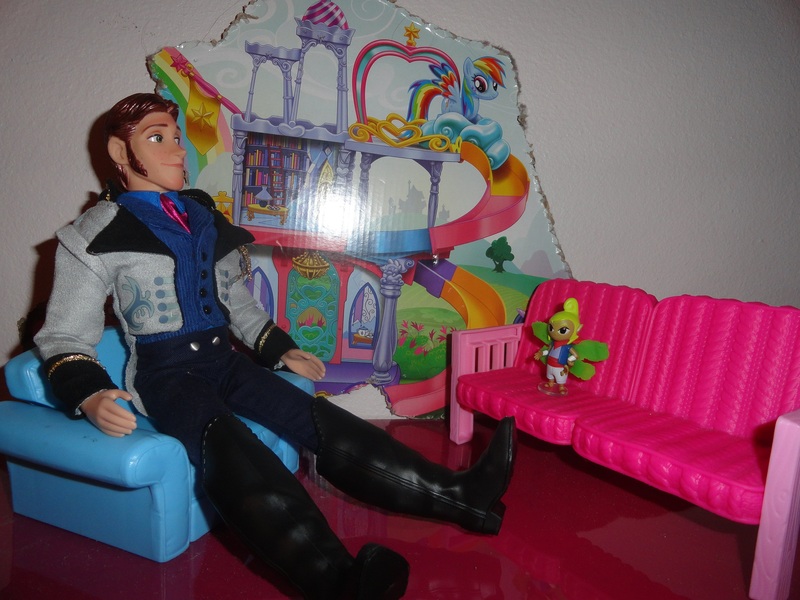 Hans: Prince Phillip, welcome. I hear you once killed a dragon. Do you think that gives you an edge? Phillip: Yeah. A sharp one. Moving on. Next on the hot seat are tributes from the French-ish district, starting with Belle. 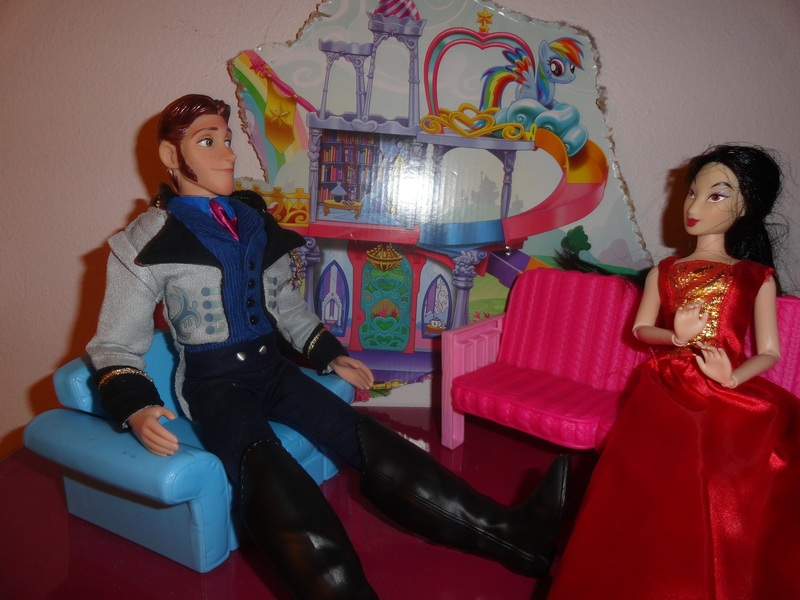 Hans: Welcome, Belle. Uh . . . Belle. Do you – think your team will win? Hans: But the book doesn’t even have any pictures. 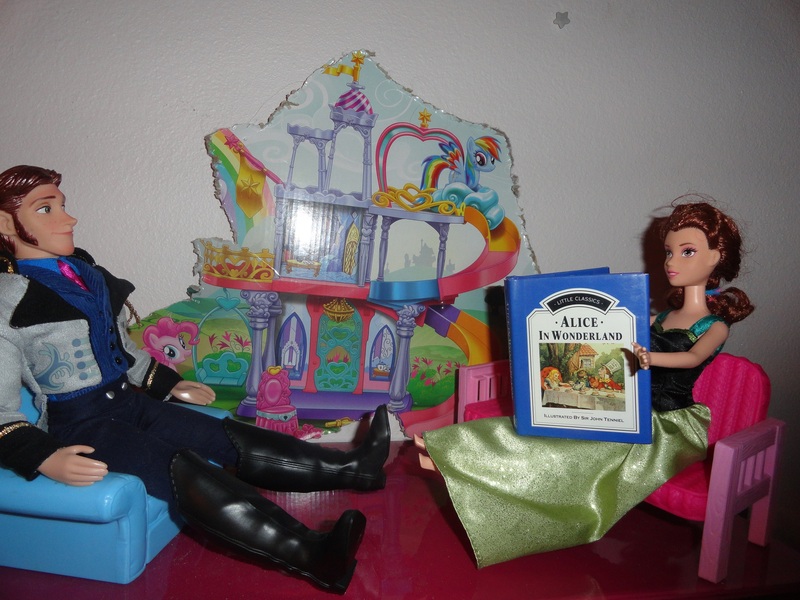 After Belle finished her chapter, it was Beast’s turn. Hans: So – Prince . . . Beast? Those claws should come in handy in the games. Adam. And I am totally suing that enchantress. 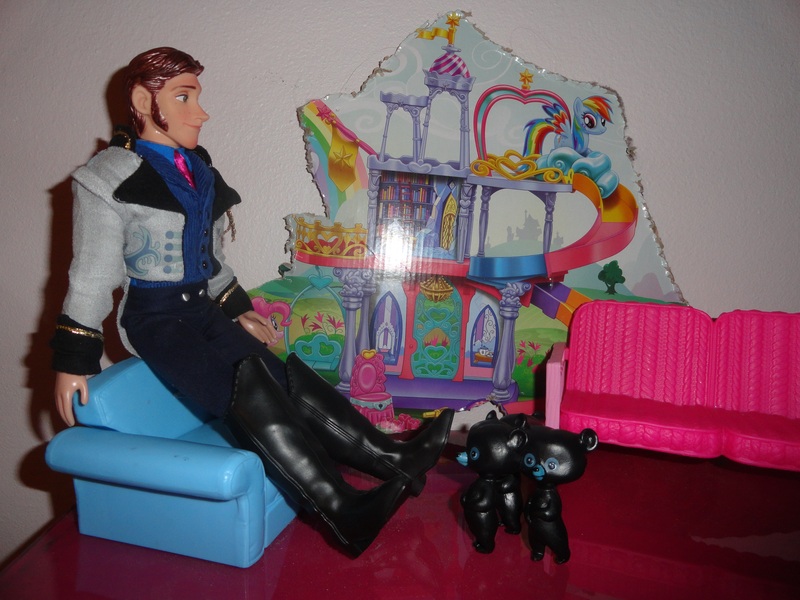 Hans: But everyone knows you’re cooler as the Beast. And now time for the last interviews of the day : welcome the Clan Du -whatever district. First up is Merida. 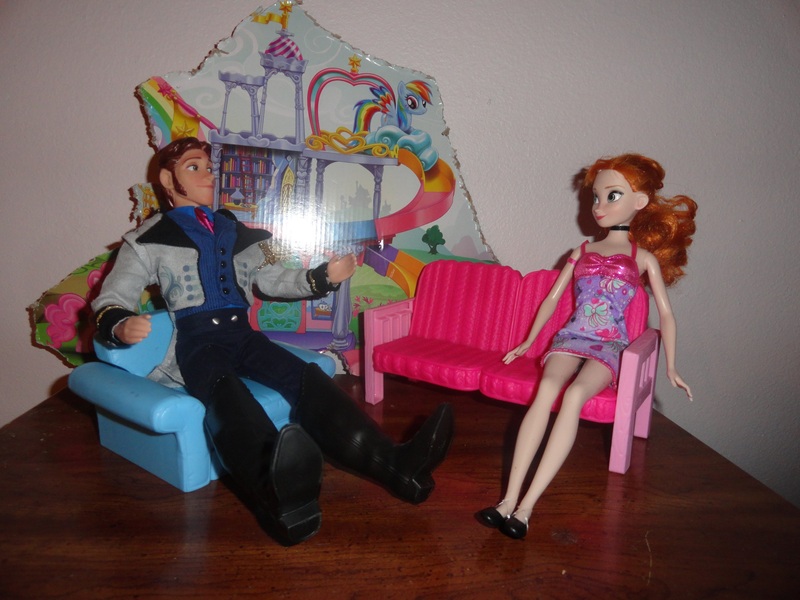 Hans: Merida, tell me about yourself. Merida: I AM MERIDA, FIRST BORN DESCENDENT OF CLAN DUNBROCH! Elinor: Get away from my daughter! I can be a reaaaal mother bear! 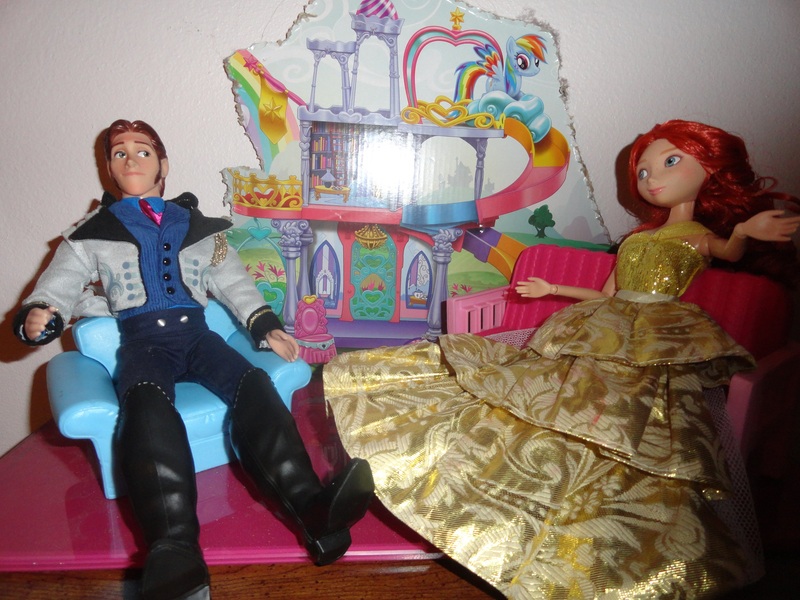 Merida: Muuum, yer embarrasing meee! Next up are the triplet tributes, Hammock, Hammich, and Hummus . . . or . . . whatever their names are. Hans: They’re bears. Are we serious? Are we really doing this? Triplets: Hiiiiii! Got any porridge? Hans: Will someone get the three bears here off my lap? Hans: Seriously . . . now they’re just staring at me. And licking their lips. Anyone? 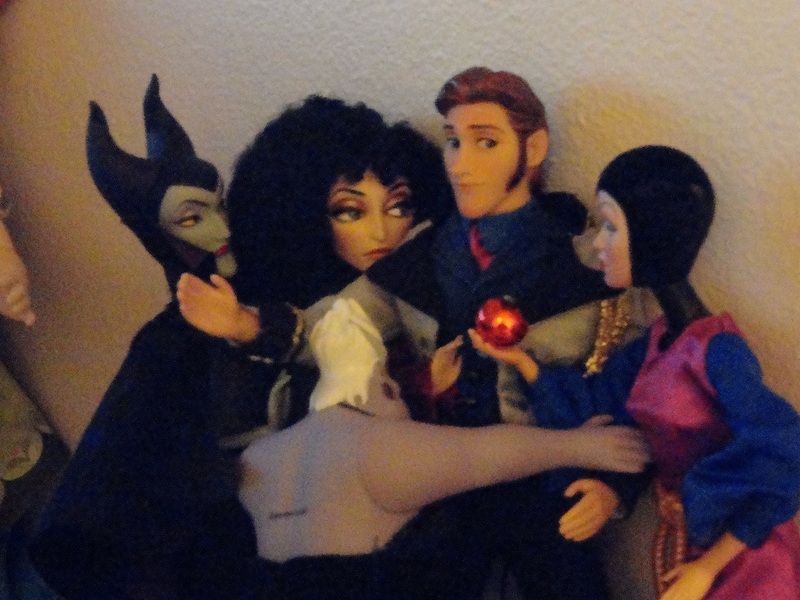 Merida: Oh, dear, my bad! They’ll be back to normal soon! I hope. Hans: Well that’s all for today, but stay tuned for the rest of the interviews. After the Beast and those bears I need some freaking Zyrtec. Still 9 districts left to go! How will interviews go with the others? Anna? Aladdin? Mulan? Those other guys? Will we get to the killing and stuff already? Stay tuned.
. . . . . To be continued. These posts may last as long as the movies!